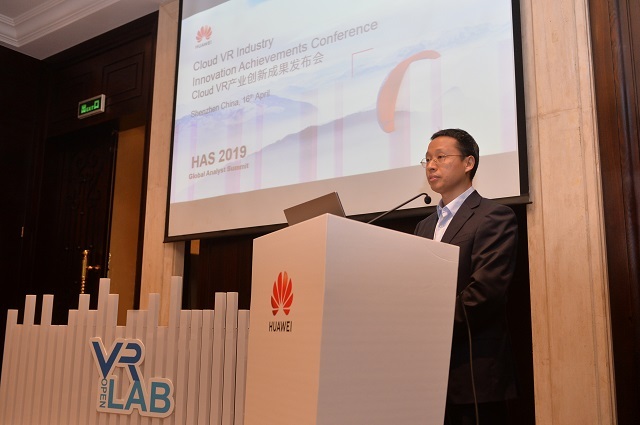 During the 16th Huawei Global Analyst Summit (HAS), Huawei and its business partners of VR OpenLab including NVIDIA, BOE, Cyber Cloud, Letin VR, Skyworth VR, Pico, DPVR, iQIY, and Growlib launched the Dual-G Cloud VR Initiative. According to this initiative, the Huawei iLab and X Labs will be used as incubation centers to collaborate with content, platform and terminal service providers, as well as chip and screen vendors. This will give those involved the chance to build Gigaband and 5G Cloud VR business solutions and explore opportunities concerning gigabit home broadband and 5G. The initiative aims to promote continuous innovation in the industry, while accelerating the large-scale commercial use of Cloud VR. The rapid development of the global VR/AR industry has become one of the key driving forces for continuous innovation in the ICT sector. According to IDC’s forecast, the global AR/VR market space will exceed US$ 20.4 billion in 2019, and the compound annual growth rate will remain at 69.6% for the next three years. Cloud VR has recently caught the industry’s attention as it is the optimal channel for popularizing VR. At the Global Ultra-Broadband Forum 2017, Huawei and its partners officially launched the VR OpenLab cooperation plan to promote the Cloud VR industry, boost technological innovation, incubate business scenarios, and build a complete Cloud VR ecosystem. After more than a year of innovation practices, VR OpenLab has delivered a number of promising outcomes.